We have over the past year intensified our focus on cleanness of the springs and how we can optimize the different production processes in order to minimize contamination during the different processes and how to remove pulling soap from the wire. This has resulted in redesign of critical equipment, e.g. our internal containers and automatic packaging line and also further development of new dry cleaning processes. So far, we have improved the cleanness a great deal, but our work will continue in order to improve even further. We believe in being the best in spring solutions. It is essential that we can secure our customers'spring deliveries, whatever happens in our factory. We have therefore evaluated risk sectors that might affect key areas like process and machine capacity/preventive maintenance, internal and external conditions causing production stop. How we can make the most of being part of the Lesjöfors Group is another factor we have put the spotlight on. Our work has resulted in risk reduction for unexpected things to happen in our factory. Furthermore we have well-developed backup plans and routines thanks to our sister companies in the group. All together it means we can ensure our customers the promised deliveries from Lesjöfors Tinglev. 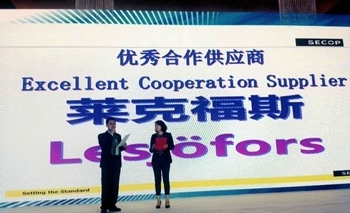 Lesjofors was recently appointed "Excellent Cooperation Supplier" by one of our customers in China, an award we are very proud of. You have now received a newsletter from Lesjofors Tinglev in your e-mail. Week 30 and 31 closed. Weeks 28, 29 and 32 open with reduced staff. We are pleased to welcome a new company to the Lesjöfors family. Lesjöfors Springs America has two factory sites in the US and Mexico. The plants are producing power springs. 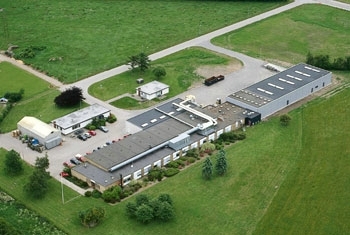 In addition to the US and Mexico sites, Lesjöfors is present with factories or sales offices in: Denmark, Sweden, Norway, Finland, Germany, Slovakia, Russia, Great Britain, Holland, Latvia, Korea and China. We warmly welcome two new employees in Tinglev, Johann Nicolaisen and Björn Rustad. In February, Johann Nicolaisen took up a position as Application Engineer. Johann has a long and wide experience within quality and construction. Björn Rustad began in May a position as Senior Application Engineer. Björn brings along extensive experience from the automotive industry. We have strengthened our technical department in order to be able to serve existing and new customers the characteristic Lesjöfors Tinglev way.